This month is the 21st anniversary of Frozen Food Month, celebrated by supermarkets across the United States. According to their press release, The National Frozen & Refrigerated Foods Association (NFRA) has been coordinating the March National Frozen Food Month promotion for 21 years because it’s been proven that promotion in the frozen food department works. 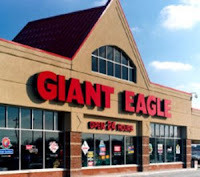 And to celebrate this month, Giant Eagle of Pittsburgh is giving away one free Redbox movie rental with purchase of $15 worth of participating frozen food reports Supermarket News. Budget-conscious shoppers will surely welcome a free movie with their rising grocery bill. What other stores are giving promotions for Frozen Food Month?